In today’s digital age, business cards are becoming a thing of the past. Most people rely on their multiple social network platforms to share information and engage with one another. People are always on the go and exchanging several pieces of information such as usernames, emails, and phone numbers can easily turn into a lengthy process. With the future in mind, two local entrepreneurs have created an innovative app entitled “Pximity”, which allows individuals to connect with one another nearby via their mobile devices in real-time wirelessly. This offers professionals, students, and local businesses the opportunity to discover one another through their devices. Pximity will essentially eliminate the need for business cards or lengthy information exchanges. When a individual signs up, they will have the option to consolidate all of their social media networks, emails, phone numbers, and even a biography onto one page. Most importantly, each individual is in control of what information is visible to the public and what is non-discoverable. Pximity is not only beneficial for business professionals, but also for places of business. Users will be shown businesses within their vicinity that they wouldn’t of known about otherwise. They will also be shown local deals and coupons to incentivize them to visit new places. The company’s monetization will come from local businesses as they can pay yearly to advertise coupons on Pximity’s location-based deals page. This will in turn save money by allowing businesses to stop the printing and mailing of coupons to people’s homes. Pximity wants to work with these advertisers to make a better community, they will offer their advertising at very affordable costs. The idea of Pximity was created by Brandon Cooper and Bryan Chatman, two local entrepreneurs from Detroit, Michigan. The duo have been an inseparable team since the age of 5 and now 23 years later, they are the proud founders of their innovative company WDITT (Why Didn’t I Think of That). Their primary focus is currently the business of Pximity and they both hope to change the future of business and networking. With a process as simple as search, click, and add to a directory – there is no doubt of future success. 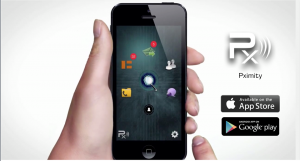 Pximity was released on December 5 2014 and is currently available on both the iTunes App Store and the Google Play Store. The company is hoping to revolutionize the way people exchange information. They are currently inviting the public to try out their new platform and experience simplicity.